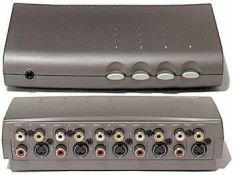 A video switch box connects multiple video devices, such as DVD players, VCRs, video game systems, camcorders, satellite TV systems or cable boxes, to a TV or audio system. The box allows you to switch different video sources into your TV. Your TV only has to have one input. By switching the box to the desired video source, you can select the video device you want to use at the current time while maintaining connections for all other video devices. No more swapping cables. Video switch boxes come in various styles with some having automatic switching capability. Some have a built-in RF modulator and RF hookup. 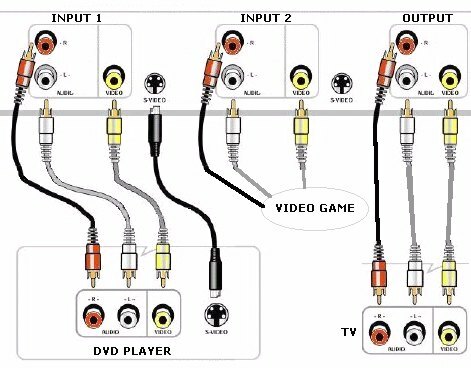 There are switches for composite, S-video, component video, DVI and HDMI video/audio. Some boxes are even remote controlled. The cost for the composite video level box is very low and they are available at electronics retail stores or online. The yellow video cable and the red/white audio cables connect your devices to the video switch box. 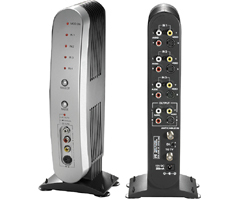 and 1 RF input with 1 RF and RCA (Phono) outputs to TV. Selectable switching from automatic to manual.